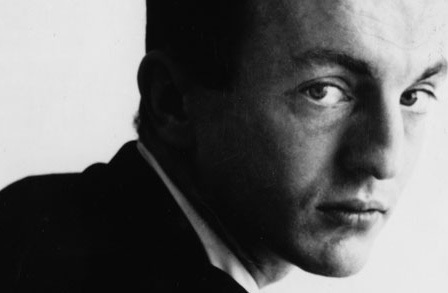 The recent surge of attention to Frank O’Hara and the 50th anniversary of Lunch Poems continues with a substantial BBC piece by Jane Ciabattari. Don’t be scared off by the attention-grabbing headline — “Frank O’Hara: Poet of the Mad Men era” — and photo of Don Draper reading Meditations in an Emergency. It’s an intelligent, informative piece, complete with good quotes from Brad Gooch, Robert Polito, Stephen Burt, and Adam Fitzgerald. (Among other things, it passes along this exciting bit of information: Gooch’s biography of O’Hara, City Poet, “is now being developed as a film by producer Donald Rosenfeld”!). O’Hara’s mystique, and the seductive power of his work, have lingered, and in recent years have grown even stronger. What distinguishes O’Hara’s poetry? It is not just a remarkable grasp of the zeitgeist but the way his poems manage to feel contemporary, no matter what the year, the ways in which he broke new ground. In a Frank O’Hara poem, Fitzgerald adds, “there’s a whole cityscape of being alive that thinks fast, acts fast, but lingers and broods, and knows ultimately there are few things in the world as intimate as hearing how another person looks dead at you, no one else, and talks.” O’Hara was not simply of his time, or ahead of his time. In the magical way of poets, he was both. He captured the essence of time. This entry was posted in Frank O'Hara, Mad Men. Bookmark the permalink.